Seven thousand people to be trained in three months? Are you crazy? This is what I was told by Professor Mukti Kanta Mishra, President of Centurion University of Technology and Management, when I met him on a flight back to Bhubaneswar at the beginning of February. Little did he know that he and his team would be supporting the training. Two months later, at the start of April, 75 master trainers went through a training programme at Centurion. They learned about supporting parents, engaging communities and implementing quality early childhood services for communities who have been long been discriminated against based on their language, ethnicity, and geographical remoteness. 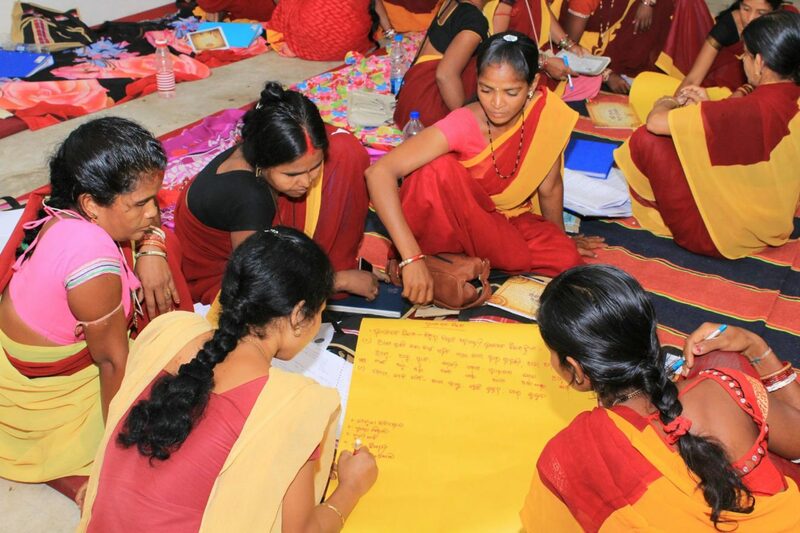 From mid-April to June 10, in six batches, further week-long courses trained 7,202 anganwadi workers from 12 districts of the state of Odisha: Mayurbhanj, Keonjhar, Sundergarh, Kandhamal, Sambalpur, Dhenkanal, Koraput, Rayagada, Malkanagiri, Gajapati, Kalahandi and Ganjam. Anganwadis, also known as ICDS centres, are government-run facilities providing health, nutrition and early learning services for young children. The training will help the workers to get children in tribal communities off to a better start in life. Odisha has India’s third largest tribal population – including about 1.4 million children aged under 6. Among this population, literacy rates are 37% compared to 63% for the state as a whole. Primary school dropout rates are 20 percentage points higher than the state average. 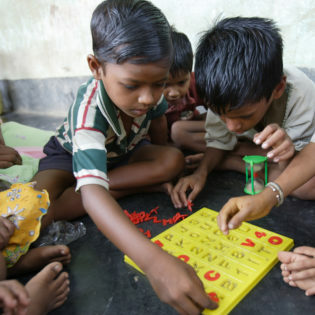 Children from tribal groups typically struggle at school because they speak a tribal language at home, while school lessons are in an official language; and their parents often do not see the value in persisting with school, and are happy for them to drop out and help around the house instead. The educational disadvantage starts early. Young children in these populations often have very little mental and psychosocial stimulation. They are not encouraged to express their feelings, capabilities and talents. Anganwadis can help with this by helping to inculcate an early love of learning that children can carry into their school career. The training resulted from a partnership between the Government of Odisha’s Women and Child Development Department and the Bernard van Leer Foundation to scale up the work we had been piloting on mother tongue-based early learning and parental support. Rolling out the model depends on adequate financial resources and a workforce capable of implementing it. The agreement, signed in March 2016, sees the Foundation support the state’s government with programme management, information and data management, workforce development, improving programme quality and monitoring. It covers 7,202 anganwadis in 12 districts, with early learning curricula in ten tribal languages. As any good programme needs to be based on accurate information, and there was no adequate data about the centres, we first conducted an extensive baseline survey through the Centre for Early Childhood Education and Development (CECED), Ambedkar University, New Delhi. CECED also developed the curriculum for training the workforce, adapting the existing curriculum by including insights from the baseline survey and new areas such as parent support and brain development. As well as the training of the anganwadi workers themselves, orientation sessions were held for supervisors, child development project officers, programme officers, district social welfare officers, and district and state officials. The trainings involved PowerPoint presentations, videos, songs, dances and group work. The majority of the trainees had never been to the capital city, Bhubaneswar, and none had ever been to a university, so being trained in a university motivated them. Many of the ‘last mile’ workers stated that they felt respected for the first time in their lives, as the logistical arrangements made by Centurion University treated everyone with dignity. 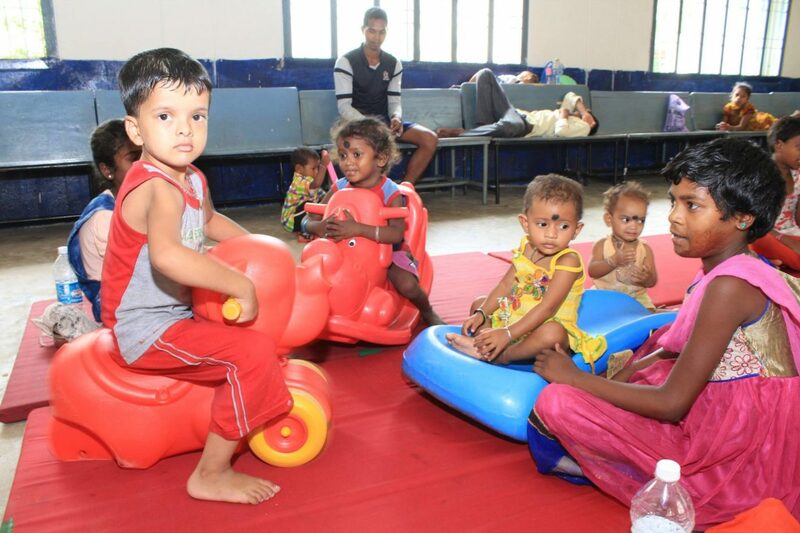 For example, there was a crèche – a first for a training programme for anganwadi workers – and nearly 800 young children came with their mothers, with local hospitals enlisted to provide support with health care. There were scores of volunteers to help the participants find their way and respond to any queries. As one participant said, their previous training was “confined to health and nutrition, but now we are realising that early stimulation is one of the critical aspects of development for under-3 children which needs to be focused on by service providers”. Feedback showed that the workers were struck by what they learned about the process of early brain development – how synaptic connections first bloom and then are pruned – and keen to share this with communities. The curriculum was approved by the National Skill Development Corporation and all the participants got a certificate. As one said, the training “will definitely help us to do our work”.